Going to some fun holiday parties this year? It is that time again — holiday parties, running around, wrapping gifts, partying with friends and family! We think you will enjoy this time of year more if you stock up on a few of these so you are ready and not running around to find something the day of a holiday party. Yes, you can bring a bottle of wine, BUT these are more thoughtful, more useful and more fun! Buy multiples. . . and don’t forget yourself. The best hostess gift is the one you want to keep (or already have)! These stemless glasses make us laugh — get 2 of these instead of a bottle of wine for your favorite host/hostess who will enjoy their wine in this all-too-appropriate glass! 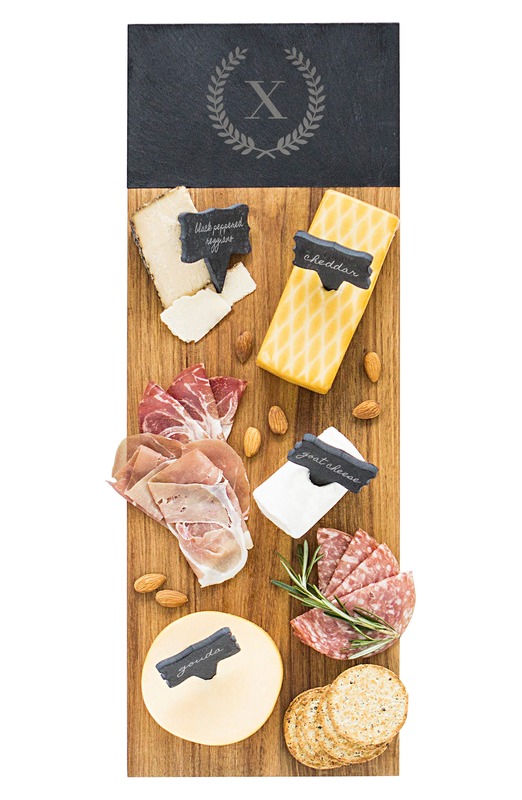 What a gorgeous and generous personalized cutting board! Yup! We dedicated a whole post to Mud Pie, since there are many fun options to consider for your gifts. Here is one of our favorites. We are seeing Agate as a trend in home decor. 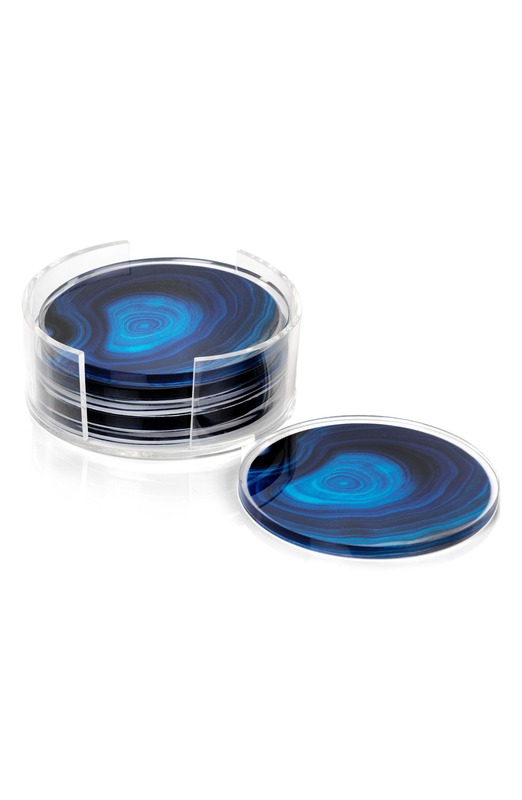 These agate coasters are beautiful and more affordable than others we have seen. This is the most yummy appetizer by Savannah Bee. This is nature’s purest of foods and super yummy. Put this out on a cutting board with crackers, sliced apples, cheddar cheese and more. Delicious and always a crowd pleaser. cookies. Stir into coffee or tea. Always a crowd pleaser. So many uses and just fun to have out on your deck/patio. Who can resist how eco friendly these are (no batteries, instead solar powered), plus, such a wonderful mission donating their Luci lights to people in developing countries. While you are out shopping at a grocery store or even TJMax/Home Goods, you can easily pick up a nice organic coffee along with a pretty mug. We always love useful gifts and if you know your host/hostess loves coffee or tea, buy some specialty brands along with a beautiful mug that they may not purchase for themselves.